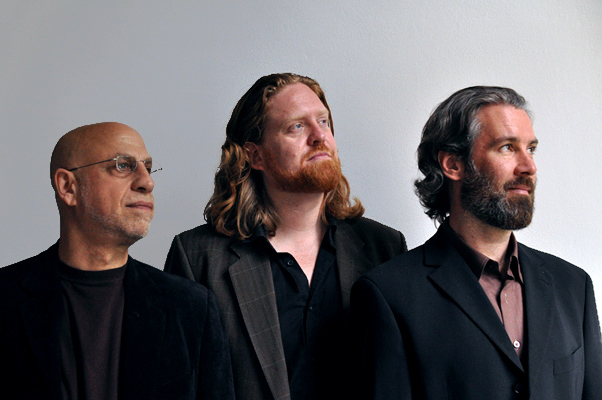 The Larry Porter Trio is a versatile formation able to journey in different musical directions. They are well known for coming up with fresh and innovative interpretations of American popular songs. The group is also focused on exploring Porter's original compositions. The unusual forms of these pieces give the music a special flow, where the boundaries between beginning and end become blurred. Larry Porter brings four decades of experience to the table, not only in jazz with the likes of Chet Baker or Art Farmer, but also as a world music specialist. He is known for creating strikingly imaginative improvisations in his performance of standards as well as originals. In doing so he places great emphasis on maximizing the interplay with his fellow musicians. Andreas Lang and Joe Smith make it all possible bringing their prodigious talent and unique voices into the mix. Whether exploring sublime ballads or dancing through alluring song forms, the group sustains a crystalline tension and creates an entire spectrum of atmospheres. 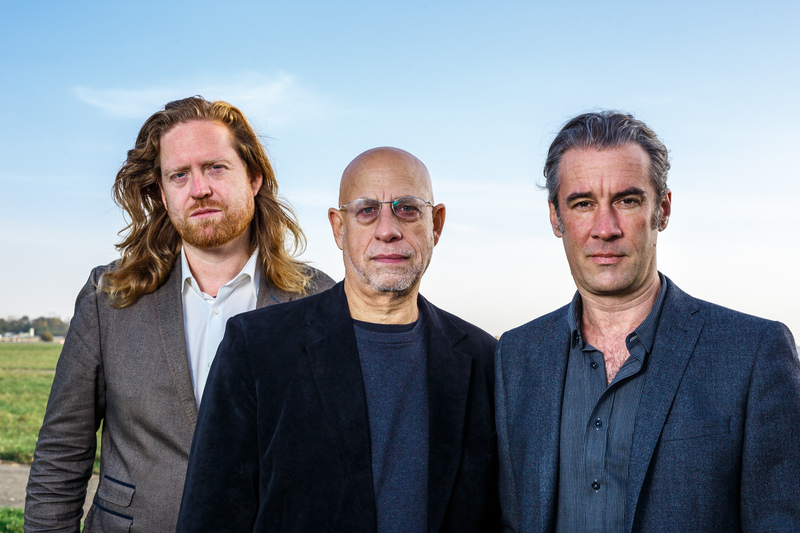 The trio's current CD Don't Fence Me In on the renowned Swiss label Unit Records offers distinctly interactive takes on American standard tunes. Official release date: May 4, 2018. Born in Cleveland, Ohio in 1951, received his first piano lesson at age 6. He founded the group Children At Play with vibraphonist Tom van der Geld in Boston in 1971. Larry went to Germany in 1973 and played with Bobby Jones, Sal Nistico, Leszek Zadlo, Volker Kriegel, Kai Winding, Mel Lewis, Günter Lenz, and Head, Heart and Hands. In 1976 he journeyed through Asia studying music in Afghanistan and India. From 1977-80 he lived in New York, worked as a pianist in the jazz scene, as a rebab and sarod player in the Indian music scene, and accompanied storyteller Laura Simms and dancers such as Merce Cunningham. Porter returned to Germany in 1981, worked with Bobby Stern, Frank St. Peter, Airto Moreira and Thad Jones, and formed a quartet with Allan Praskin, which recorded "First Date" in Spain and stayed together 11 years. From 1986-1994 he was very active playing with Chet Baker, Art Farmer, Archie Shepp, Benny Bailey, Heinz Sauer, Leo Wright, Don Menza, Al Cohn, Monty Waters, Conexión Latina, and singers Sheila Jordan, Mark Murphy, Jay Clayton, Rachel Gould, and Jeanne Carroll, as well as recording two CDs for Enja. Back in New York in the late 90s, he recorded the highly acclaimed CD The Magical Rebab of Larry Porter. He moved to Berlin at the turn of the century where he produced many CDs of his music and performed and recorded with Mundell Lowe, Hendrik Meurkens, Barbara Mayr, Johannes Enders, Christian Grabandt, Maciej Fortuna. His piece "Kind Of Jazz Suite", a work for 8 French horns commissioned by the Berlin Philharmonic, was premiered in 2005. 2011-2016 Larry performed regularly with the Austrian guitarist Karl Ratzer. Born on the small island of Strynø in southern Denmark in 1980. Started playing the bass at the age of 16. When he was 21, he began his studies at the conservatory "Carl Nielsen Academy of Music" in Odense, taking lessons with bassist Bo Stief. Andreas performed in Denmark with Anders Mogensen, Hans Ulrik, Kresten Osgood, Håvard Wiik and Mads la Cour. In 2007 he settled in Berlin and quickly established himself in the jazz scene there as a bassist in great demand. He has worked with Felix Wahnschaffe, Rudi Mahall, Christian Lillinger, Oliver Steidle, Gunter Hampel, Henrik Walsdorff, Tobias Delius, John Schröder and many others. As a member of the group Hütte, he won the New German Jazz Award in 2013. Between 2007 and 2018 Andreas has recorded 14 CDs on the WhyPlayJazz label with artists such as Kasper Tom Christiansen, Mads la Cour, Frederik Vedersø, Philipp Gropper, Wanja Slavin and Anna Maria Sturm. Born in Chicago in 1971, attended the Cincinnati Conservatory and the Manhattan School of Music studying with Vernel Fournier, Jimmy Lovelace, John Von Ohlen, John Riley and Jeff Williams. He lived in New York City from 1991 until 2000 playing with some of the best musicians the scene had to offer. After moving to Barcelona in 2000, he released two discs as a leader on Fresh Sound Records, “Happy” and “Melodic Workshop” which features Bill McHenry, Gorka Benitez, Guillermo Klein, Chris Lightcap and Jorge Rossy. Joe has been a featured sideman on the recordings of John McNeil, Arthur Kell, Ryan Blotnick, Fredrik Carlquist, Brandon Miller (Sarsaparilla) and many others. He has toured extensively in Italy, Germany, Spain, Sweden, Denmark, Poland, Hungary, Serbia, Romania and Colombia. In 2008 Joe formed the Asociación Libre Orkesta, a free form Big Band which performs improvised music inspired by poetry and projected images. In 2010 the Orkesta took part in the summer festival Jazz al Parque in Bogotá, Colombia performing for more than 10,000 people. In 2011 he moved to Berlin where he is currently playing in the groups of George Donchev, Johannes Lauer, Christian Ugurel, Jessica Einaudi and continues to record and perform with the Sci-Folk group Sarsaparilla. He also took part in the Deutsches Theater's production of Shakespeare. Spiele für Mörder, Opfer und Sonstige, directed my Dimiter Gotscheff. Das Larry Porter Trio ist eine vielseitige Formation, die in verschiedene musikalische Richtungen zu reisen vermag. Die drei Musiker sind dafür bekannt, frische und innovative Interpretationen von "American Popular Songs" zu entdecken. Der andere Fokus des Trios ist es, Original-Kompositionen von Porter zu erforschen. Die ungewöhnlichen Formen dieser Stücke verleihen der Musik einen besonderen Fluss, wo die Grenzen zwischen Anfang und Ende verwischt werden. Larry Porter bringt vier Jahrzehnte Erfahrung ein, nicht nur im Jazz mit Größen wie Chet Baker oder Art Farmer, sondern auch als World-Music-Spezialist. Er ist für auffallend ideenreiche Improvisationen bei seiner Darbietung von Standards und eigenem Material bekannt. Dabei legt er viel Wert auf ein Maximum an Zusammenspiel mit seinen Mitmusikern. Andreas Lang und Joe Smith machen das alles möglich, in dem sie ihr ungeheures Talent und einzigartigen Stimmen mitbringen. Ob sie erhabene Balladen erforschen oder durch verlockende Liedformen tanzen, die Gruppe hält eine kristallklare Spannung und schafft ein ganzes Spektrum von Atmosphären. Die aktuelle CD des Trios Don't Fence Me In auf dem renommierten Schweizer Label Unit Records bietet eine besonders interaktive Perspektive auf amerikanische Standards. Offizielles Release-Datum: 4. Mai 2018. 1951 in Cleveland, Ohio geboren. Larry bekam mit 6 Jahren den ersten Klavierunterricht. Er gründete 1971 in Boston mit dem Vibraphonisten Tom van der Geld die Gruppe Children At Play. 1973 ging er nach München und spielte mit Bobby Jones, Sal Nistico, Leszek Zadlo, Volker Kriegel, Kai Winding, Mel Lewis, Günter Lenz und Head, Heart and Hands. 1976 machte er eine einjährige Studienreise nach Afghanistan und Indien. Porter lebte 1977-80 in New York, arbeitete als Pianist in der Jazzszene, als Rebab- und Sarodspieler in der indischen Musikszene und begleitete Storyteller Laura Simms und Tänzer, u.a. Merce Cunningham. 1981 kehrte er nach München zurück, spielte mit Bobby Stern, Frank St. Peter, Airto Moreira und Thad Jones und gründete ein Quartett mit Allan Praskin, das "First Date" aufnahm und 11 Jahre zusammenblieb. 1986-1994 hatte Larry eine sehr rege Konzert- und Aufnahmetätigkeit, u.a. mit Chet Baker, Art Farmer, Archie Shepp, Benny Bailey, Heinz Sauer, Leo Wright, Don Menza, Al Cohn, Monty Waters, Conexión Latina und Vokalisten Sheila Jordan, Mark Murphy, Jay Clayton, Rachel Gould und Jeanne Carroll. In New York, Ende der 90er, nahm er die höchst anerkannte CD The Magical Rebab of Larry Porter auf. Seit der Jahrhundertwende lebt er in Berlin. Er nimmt viele CDs unter eigenem Namen und auch mit Mundell Lowe, Hendrik Meurkens, Barbara Mayr, Johannes Enders, Christian Grabandt, Maciej Fortuna auf. 2005 wurde sein Stück "Kind Of Jazz Suite", ein Auftragswerk der Berlin Philharmoniker für 8 Hörner, uraufgeführt. 2011-2016 trat Larry regelmäßig mit dem österreichischen Gitarristen Karl Ratzer auf. 1980 auf der kleinen Insel Strynø im Süden von Dänemark geboren. Im Alter von 16 Jahren fing er an, Bass zu spielen. Mit 21 begann er ein Studium auf der Carl-Nielsen-Musikakademie in Odense bei dem Bassisten Bo Stief. Andreas spielte in Dänemark mit Musikern wie Anders Mogensen, Hans Ulrik, Kresten Osgood, Håvard Wiik und Mads la Cour. Im Jahre 2007 zog er nach Berlin und hat sich schnell als sehr gefragter Bassist in der dortigen Jazzszene etabliert. Er arbeitet mit Felix Wahnschaffe, Rudi Mahall, Christian Lillinger, Oliver Steidle, Gunter Hampel, Henrik Walsdorff, Tobias Delius, John Schröder und vielen anderen. Als Mitglied der Gruppe Hütte, hat er den Neuen Deutschen Jazzpreis in 2013 gewonnen. 2007-2018 hat Andreas 14 CDs auf dem WhyPlayJazz Label mit Musikern wie Kasper Tom Christiansen, Mads la Cour, Frederik Vedersø, Philipp Gropper, Wanja Slavin und Anna Maria Sturm aufgenommen. 1971 in Chicago geboren, besuchte das Cincinnati Conservatory und die Manhattan School of Music, wo er klassisches Trommeln und Jazz-Schlagzeug bei Vernel Fournier, Jimmy Lovelace, John Von Ohlen, John Riley and Jeff Williams studierte. 1991 ging er nach New York, wo er zehn Jahre lang mit einigen der besten Musiker spielte, die die Szene zu bieten hatte. Er zog im Jahre 2000 nach Barcelona und hat seine ersten zwei Alben als Bandleader auf Fresh Sound Records, "Happy" und "Melodic Workshop" mit Bill McHenry, Gorka Benitez, Guillermo Klein, Chris Lightcap und Jorge Rossy veröffentlicht. Als Sideman war Joe an Aufnahmen verschiedener Alben, u.a. von John McNeil, Arthur Kell, Ryan Blotnick, Fredrik Carlquist, Brandon Miller (Sarsaparilla) und vielen anderen beteiligt. Er war viel auf Tour durch Italien, Deutschland, Spanien, Schweden, Dänemark, Polen, Ungarn, Serbien, Rumänien und Kolumbien. 2008 gründete Joe die Asociación Libre Orkesta, eine Big Band, die ausgehend von Gedichten und Bildern frei improvisiert. 2010 spielte die Band auf dem Sommerfestival Jazz al Parque in Bogotá, Kolumbien vor mehr als 10.000 Zuschauern. Seit 2011 lebt Joe in Berlin und spielt in verschiedenen Formationen, u.a. von George Donchev, Johannes Lauer, Christian Ugurel, Jessica Einaudi und der Sci-Folk-Band Sarsaparilla. Er spielte außerdem am Deutschen Theater in dem Theaterstück Shakespeare. Spiele für Mörder, Opfer und Sonstige von Dimiter Gotscheff.